"I’ve shared it with members of my team and we often find ourselves discussing insights you share. A recent article led us to completely rethink how we promote corporate partners at our gala. We appreciate you helping us become better partners!" I'll email you my newsletter on Wednesday mornings. I resend it on Fridays to (1) new subscribers (2) existing subscribers who didn't open Wednesday's newsletter. Want to see an example? I archive them on my blog. 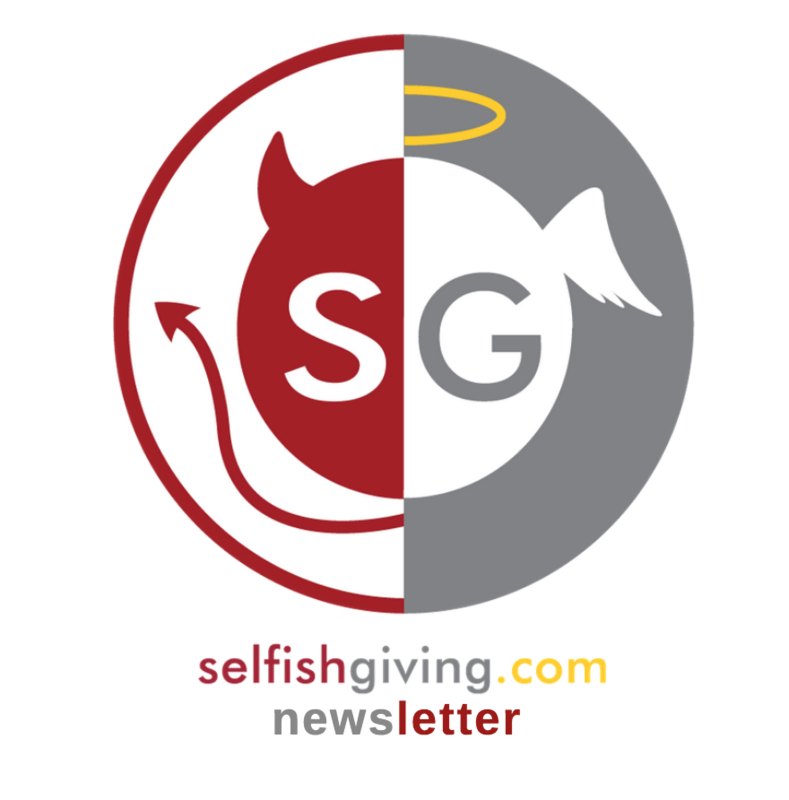 © Copyright 2019 Selfish Giving. All rights reserved.